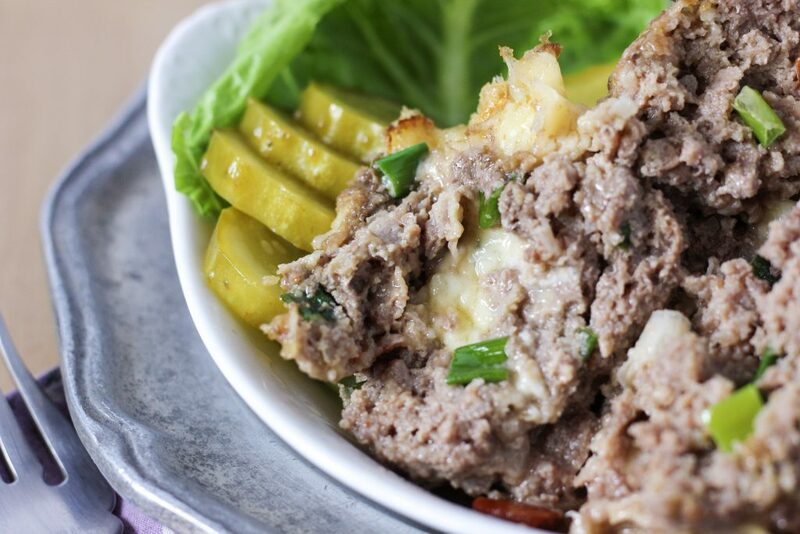 Keto Cheeseburger Bites are fun to serve, and everyone will be excited about dinner! You can serve them with probiotic pickles (like Bubbies) or homemade probiotic veggie pickles (like these or these). You can dip them into Keto Ketchup or we love them with salad and any other favorite cheeseburger toppings like: bacon, blue cheese and fried eggs. Keto Cheeseburger Bites are Primal, GAPS and gluten-free. Yet these Bites are GREAT on their own, a cheesy meal in your hand (although they’re a little messy, so maybe a fork)! This recipe makes a big batch! You can freeze any extras, or have them on hand for quick, nutrient dense food! It’s time to make burgers! 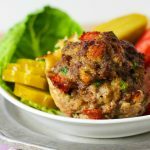 These bites can be BIG or small: They can be a meal of oozing cheesy goodness, or they can be made in mini muffin tins for snacks or even a fun appetizer with dipping sauce! I’ve made them egg-free, not because I don’t personally love eggs, but because a lot of Keto, GAPS and Paleo recipes contain eggs, and a lot of folks can’t eat them. So it’s just nice to have some recipes without, for those folks; and this recipe doesn’t need them. I’ve also made this recipe with lots of heavy cream, or probiotic sour cream for GAPS folks. You’ll love the fall-apart meat and the fat the cream brings to these delicious morsels! Preheat oven to 350. Line muffin pans with pan liners. Combine nut flour, sifted baking soda, sea salt and black pepper in a medium size bowl. Set aside. In large bowl combine: raw ground beef, heavy cream, apple cider vinegar, tomatoes, green onions, cauli rice and aged cheddar. Add flour mix to beef mixture and stir together well until the meat is well broken up and lighter (not as heavy) in texture. (The baking soda and vinegar will react and create a lighter blend.) Do not over-mix; stop when the mixture is evenly combined. Fill each muffin slot in muffin tin only halfway. Then add cubes of cheese, (equally distribute). Top off with remaining meat mixture. 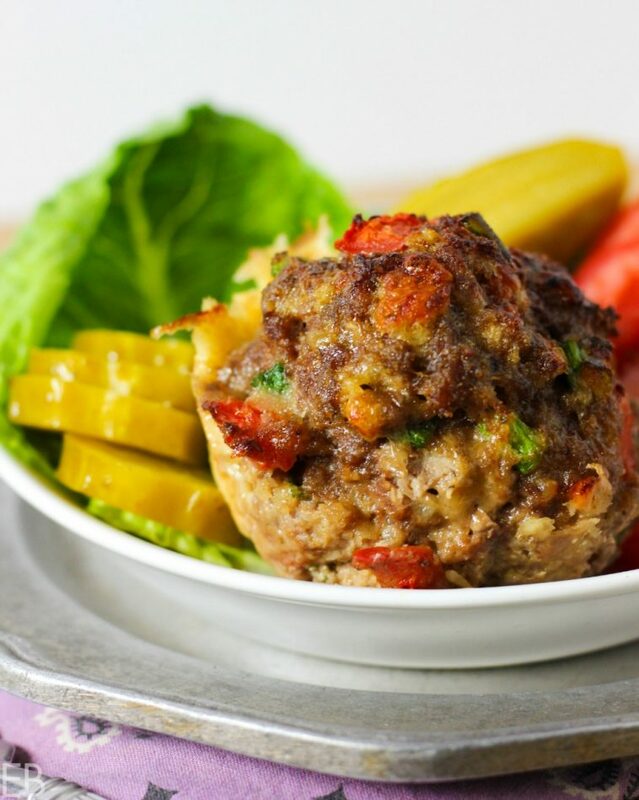 When scooping meat into muffin tins, use up to 6 ounces for each muffin Bite for larger ones, or 2 ounces for mini Bites. Bake in preheated oven 30 minutes for larger, or about 12-15 for smaller. Here's a Keto Ketchup, if you'd like a condiment for dipping. When you go to buy cheese, if you can, buy Kerrygold brand or one from France. These cheeses are often not more expensive, or maybe more by a dollar or two. The reason to invest that teeny bit extra? These cheeses are the healthiest: They come from cows of A2 heritage, the oldest breed, with a protein in the curd of the milk that’s easier to digest. (You can read more about A2 cows here.) Kerrygold also raises their cattle on green pastures, they make delicious cheese, and it’s sold at most markets. Many consumers think they can’t eat dairy without adverse symptoms. Try Kerrygold butter first, and see how you do. If you can tolerate Kerrygold butter, it is likely you’ll flourish with Kerrygold cheese. French cheeses offer the same benefit: A2 and grass-fed/pasture-raised. Primal just means Paleo + dairy. In our Paleo cafe we even used the word Paleo to describe sandwiches that contained great quality French cheese. 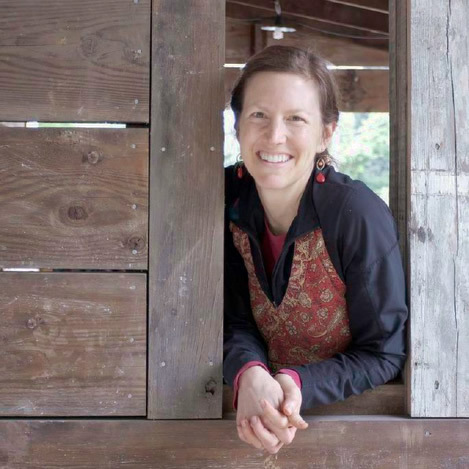 The point of Paleo is not to be dairy-free: It’s to get back to older ways of eating, natural foods, raised on the land, with ancient methods and caring husbandry practices. That should be at the heart of the Keto and GAPS diets, too. We need to buy what we can afford, but I believe we should budget for the best quality possible. Cheese is Paleo, absolutely, if the cows are raised in an environment and mindset of sustainability, and they’re of A2 heritage. You can read more about why dairy-free Paleo is based on bad science here. There are, of course, many who truly can’t digest dairy, perhaps about 1/10 of the American population. (The inability to digest dairy is a food intolerance OR a food sensitivity. Read about the difference here.) But then you have folks like me who helped to heal my body through the use of raw milk, aged cheese and homemade raw milk kefir. We also have the beautiful Masai people of Africa who are free of modern degenerative diseases, but subsist largely off of dairy. So if you can tolerate dairy, choose the best, for your health and the health of the planet. But the Keto community, especially those who enjoy the diet for the use of weight loss, often buy inexpensive cheeses and cream, dairy that comes from cows in feed lots. Friends, if this is you, it may be time to switch. You didn’t know, but now you do: Cows from feed lots get fed trash (literally), so their dairy is not a healing food. It may be high in fat, so it helps to produce those powerful ketones, but the fat is not good for your heart or overall health. You’ll love how moist and flavorful these Cheeseburger Bites are. Enjoy!! Oh my, I’m just staring at that cheese pull! Looks absolutely delicious and so great for kids too. Thanks! My kids DO love these! Oh good, Linda, I’m so glad, re the dairy! 🙂 I think there are SO many people out there like me, who could be helped (and not hurt) by dairy, if they only had the good stuff. I’ve seen teenage acne clear up too, when switching to just French cheeses, raw grass-fed A2A2 milk, and Kerrygold– so cool and encouraging! Omg this looks scrumptious!! Love that it’s individual size and perfect to take to work for lunch! Yes, great for on the go food. Thanks, Joni! These burger bites are so fun! Cheesy things are always a hit when entertaining and these are definitely going on my appetizer list next cocktail party! Yay!! So fun! I’m so glad! My family would love this! We’re always ditching the buns! Yes, definitely! 🙂 Thank you! Love this recipe!! Totally agree re cheese quality making a difference. SO important to spread the word about best choices. Excellent post Megan. Thanks! Also really like that these are bite-sized and NO bun anywhere.. Can’t wait to try this one! Wonderful. Thank you, Carol! I never needed the bun anyway; it slows my digestion waaay down! I love how meat and fat and veggies digest so efficiently. Oh yes! so many good things happening in these tempting bites! Yum Megan!! These look so yummy! I will try them this week with the coconut flour. Great Yvonne! I’m so glad! I hope I hear back on how it went! 🙂 Thank you! Wooooooah – these look awesome! I love the odd bit of cheese here and there – so these are definitely getting added to my next family get-together menu. These are perfect Megan!!! SO PERFECT!!! Beautiful little bites of goodness and I spy some yummy pickles to go with them. Such a fun feast! Aw, how encouraging. Thank you for sharing your feedback!! I’m so glad you enjoyed them, and I’m happy you have the recipe and plan to make them yourself. Enjoy and best! Ha, love that! Thanks, Sarah!